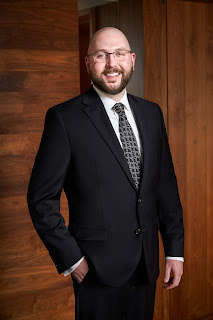 Park Hyatt Washington, D.C. General Manager Terry Dunbar is pleased to announce the appointment of Tyler Jones as director of sales, marketing, and events for the luxury 220-room hotel located at 1201 24th Street, NW. Jones joins the Park Hyatt Washington, D.C. from the modern, 316-room hotel Hyatt Regency Dulles, where he served as director of sales, marketing and events. Hailing from Marin County, San Francisco, Jones earned his degree from California State University - Chico in resort and lodging management. Shortly after graduation, Jones began his career as a front desk agent at the Hyatt Regency Lake Tahoe Resort, Spa and Casino, and within a year, he moved into an administrative assistant role in sales. Continuing his hotel sales career trajectory, Jones relocated to the east coast in 2012 to serve in the position of sales manager at Hyatt Regency Baltimore Inner Harbor. Next, he was named group sales manager at the Hyatt Regency Baltimore, during this timeframe, Jones built relationships with local and national accounts resulting in loyal partnerships. In 2014, Jones was nominated for Sales Manager of the Year and the following March, he was recruited to join the Hyatt Regency Minneapolis, a AAA-rated Three-Diamond 645-room hotel, as group sales manager. In under 12 months, Jones moved into an associate director of sales role, where he continued to gain the experience required to take on the senior position of director of sales and marketing at the Hyatt Regency Dulles in January 2017. In this new role, he was responsible for direct oversight of the sales and event operations of the hotel, including the development and implementation of short and long-term strategies in sales, catering and marketing channels. Under his leadership, Jones and his team were nominated for Hyatt Hotels and Resorts Sales Team of the Year in 2017. Jones is an eagle scout and an avid outdoorsman enjoying snowboarding, cycling and camping. He and his wife Meredith share a black lab named Moose. Park Hyatt Washington, D.C. combines modern luxury with classic American style. Located in the West End Georgetown neighborhood, near Embassy Row and the Smithsonian Museums, Park Hyatt Washington affords guests convenient access to shopping, dining, and cultural attractions of the nation’s capital. With 220 guestrooms and suites, a Tea Cellar offering rare and vintage tea selections, and an intimate Spa Room, Park Hyatt Washington provides a truly unique experience. The hotel is home to the Michelin-starred restaurant, Blue Duck Tavern, an elegant neighborhood tavern offering menu selections focusing on the freshest ingredients available from regional purveyors. Park Hyatt Washington offers flexible meeting and event space, The Gallery, with seasonal catering. 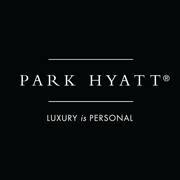 To make a reservation for Park Hyatt Washington in the U.S. or Canada, please call +1(800) 778-7477 or visit www.parkhyattwashington.com.